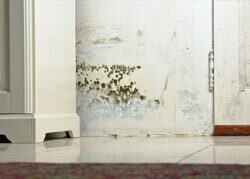 Mold and other microbial growth can threaten the indoor air quality, employee health, and resultantly, the efficacy of personnel working at your facilities. Where necessary, an adequate testing and inspection program can serve as a guide to appropriately delineate the magnitude of such concerns. Sampling might include bulk testing of the affected construction materials, wipe sampling, Biotape sampling, or indoor air quality testing of the ambient environment. The work, culminates with the preparation of a report that details the results of the analytical findings. From this, management decisions can be made as to any requisite courses of action. Environmental Support Network, Inc. specializes in tailoring the sampling program to the individual needs of the facility relative to any symptomatology of the affected employees for the protection of the organization.